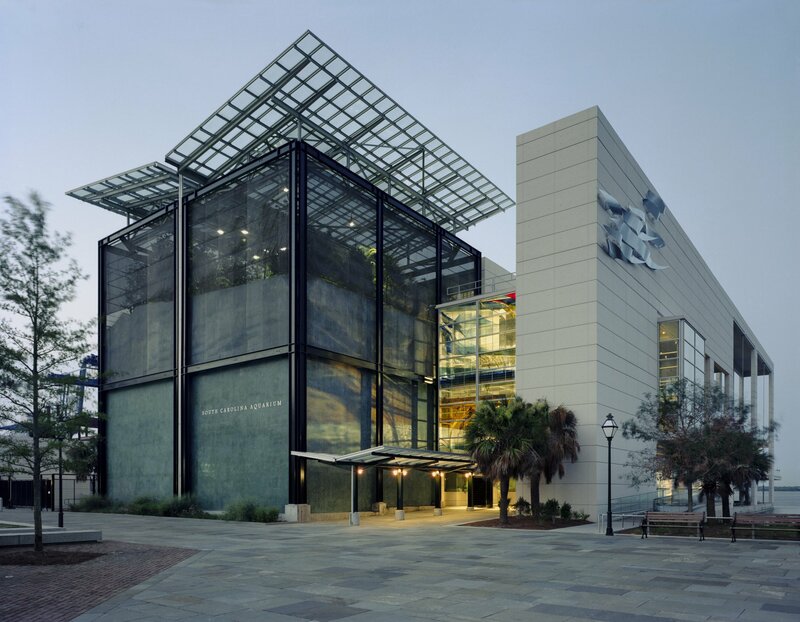 Projecting boldly into the Cooper River, this aquarium showcases the regional diversity of South Carolina’s aquatic life. Moving through the museum, the visitor enters a lobby which weaves thematic artwork and exhibits into a dynamic, two-story, 300-foot long Great Hall. Following are a series of habitats that follow the route of water from mountain streams in the Southern Appalachians to the Atlantic Ocean. Beginning in outdoor aviaries depicting mountain and saltmarsh environments, the journey culminates with the Great Ocean Tank, at 37-feet high, one of the tallest aquarium tanks in the world. 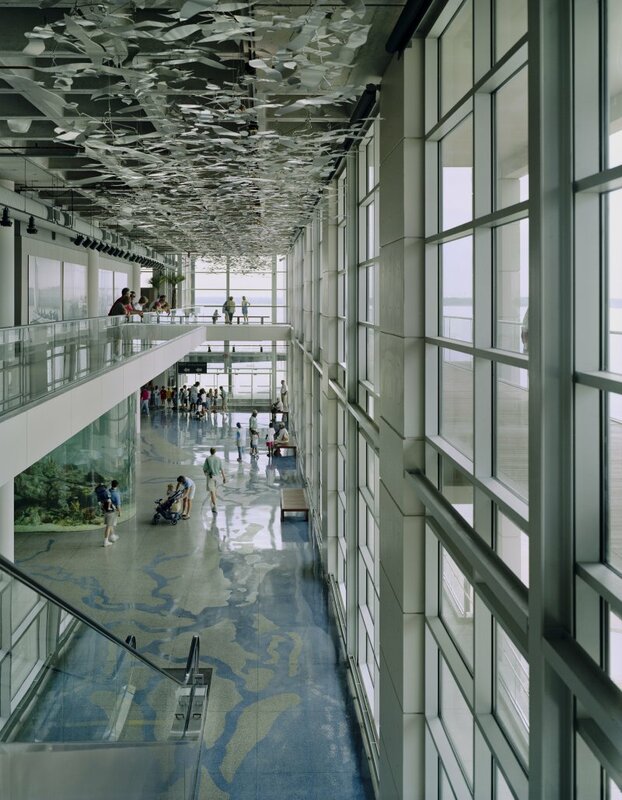 The Aquarium aims to stimulate in its visitor a new sense of caring and stewardship for marine habitats through a better appreciation of these environments. 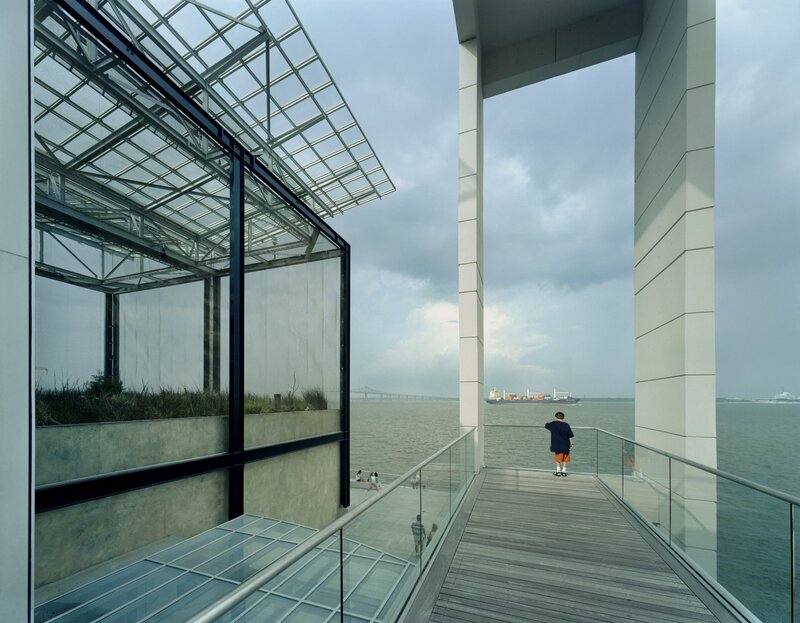 The project simultaneously features an enclosed upper atrium, providing visitors the ability to experience the natural world in an open air environment. The site was a century old waterfront industrial site resulting in significant environmental contamination which had to be identified and mitigated. 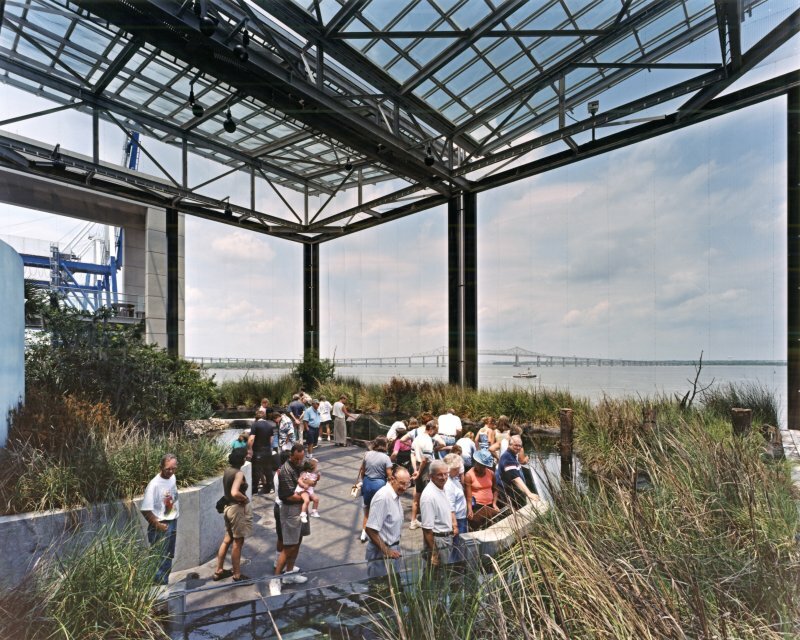 In the middle of the design process, the eye of Hurricane Hugo, a Category 5 Hurricane, passed over the site resulting in a recalibration of FEMA flood zone requirements. Obviously, design criteria had to be revised given these two major challenges. Through our leadership and perseverance, we were able to maintain our creative focus during this 14 year project development period and deliver an award-winning waterfront attraction for the residents of Charleston.